Cannabis testing is not mandated under Michigan’s medical marijuana law — that could change if the House enacts reforms to the current system — but there is still a market for testing services in the state. 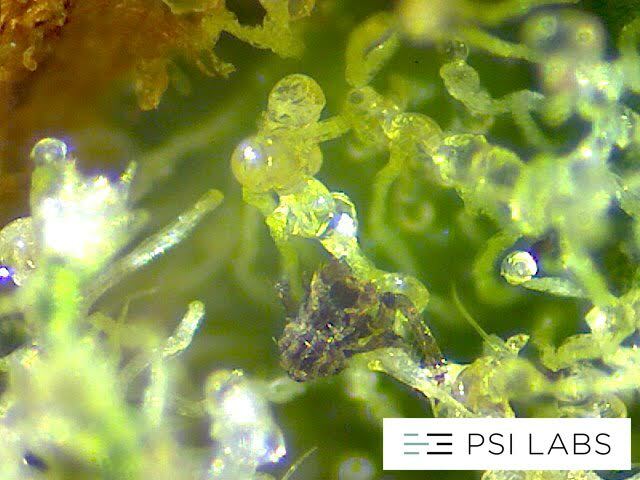 A cursory Google search elicits five cannabis testing laboratory results, with Ann Arbor-based PSI Labs occupying the top spot. Despite only being in business for 18 months, the outfit has built a database with nearly 100,000 samples and was pegged by High Times as the official testing lab for the last two Michigan Cannabis Cups. 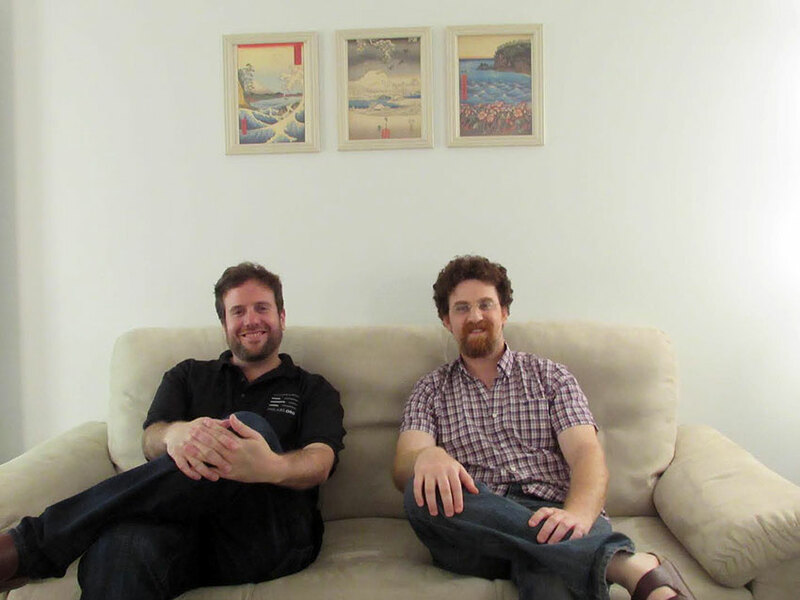 Ben Rosman, CEO, and Lev Spivak-Birndorf, chief science officer, both 34, met in middle school. The duo graduated together and remained close as they each embarked on their individual paths. Rosman received a law degree from Wayne State University Law School, specializing in criminal defense and medical cannabis law. Spivak-Birndorf would receive his doctorate in geochemistry and cosmochemistry from Arizona State University, later completing a post-doctoral research fellowship in metal isotope geochemistry at Indiana University. Both are medical marijuana patients — Rosman has epilepsy; Spivak-Birdorf has Crohn’s — and, as patients, they visited dispensaries together, often asking for the lab reports of their medicine. So two childhood friends, now experts in aspects of an industry that affects their daily lives decide that, not only could they start their own testing lab, they could do it better. As patients, they understand the importance of high-quality medicine — free from mold, bugs, pesticides, and heavy metals. They are intimately acquainted with how potency and cannabinoid profiles play into the therapeutic outcomes of cannabis. Rosman says no matter which side of the medical cannabis argument a person falls on, it’s a consensus that medicine should be safe, therefore it should be tested. The operation is small. During our tour, two techs ran samples in the laboratory; a former call center full of buzzing, beeping, and hissing machines that bounce ambient vibrations throughout the white-walled lab. “Most of these machines are used in police forensic labs to lock people up,” Rosman says, noting the irony. 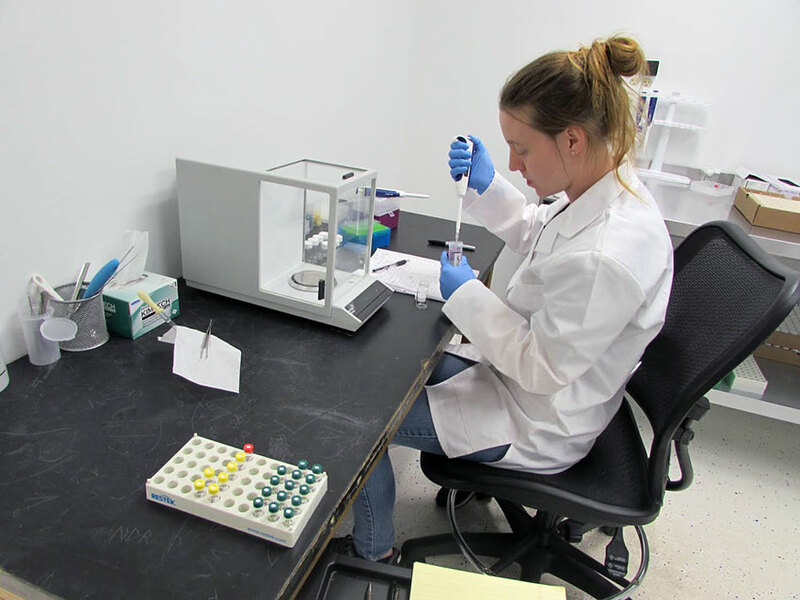 In a small room off of the main lab floor Amanda Finnigan, a graduate of nearby Henry Ford College, is preparing edibles for testing. She said because there are no current standard operating procedures to follow, it’s up to their small lab to develop the best practices to prepare them for the eventual regulations, and to find the best way to extract the chemicals from new products; ranging from infused water to facial scrubs. Finnigan went to school with this very gig in mind. She had wanted to intern with a cannabis lab, but her school refused due to the fact that they receive federal funding and cannabis is federally outlawed. Unlike Finnigan, Mark Tracy — a State University of New York, Oneonta graduate — said there was “no way” he expected his degree path to take him to a cannabis testing lab. Rosman said he would “definitely” take on interns if colleges were to ever reach out, and said he hires people who are excited to learn about not just the industry, but the science behind cannabis. Spivak-Birndorf explains that, as a scientist, working in an independent lab setting is the best way to get data on cannabis — and in “this world of customized products,” people are hungry for that data. He suggests that as a culture we are becoming more demanding of, and more used to, informed consumption at our fingertips. But terpene profiles are what really excite the CSO. 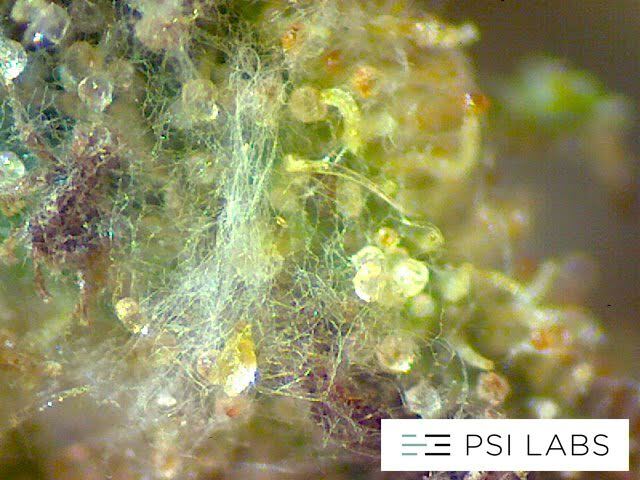 Terpenes are the oils that give cannabis its flavor and smell profile. A sample’s terpene profile really defines what strain it is, and Spivak-Birndorf says it’s far more complicated than indica and sativa. 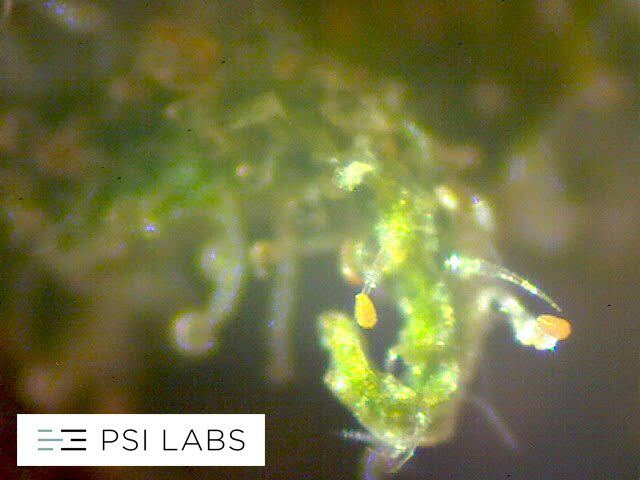 The day of our interview, a sample came through the lab with 26 percent THC and CBG levels of “like 4 to 5 percent” — the highest any sample had ever tested for in the lab’s history. CBG is a non-psychoactive cannabinoid found to have anti-anxiety properties. The strain, Spivak-Birndorf suggested, would be great medicine for someone because while it’s potent, it might not cause anxiety like other potent strains. “It’s cool to see something totally unique and sometimes we’re telling the customer something they had no clue,” he said. Both founders expect the market, the industry, and the rules by which they operate to change, but are as forward thinking as any consumer brand, despite being more embedded in the science sector. They have over 3,300 Instagram followers, and their lab reports are cleanly constructed (and posted to the social network for people to geek out to). Rosman hopes that if lawmakers pass the sweeping reforms, creating an oversight board, that businesses currently operating in the sector will have a chance to help create the rules — because the market is already years ahead of the government.